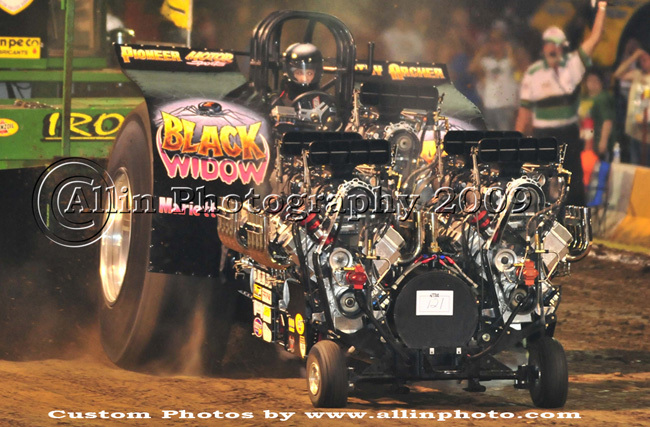 The 2011 season is ended with the pull at Bakel. See our video of the tractorpull at Bakel. After the event at Bakel the team attended a pulling event at Boerdonk. Now the season is ended, Popeye is back in the workshop again and the transportcombination is unloaded. The first preperations for the next season already started. Popeye tractorpulling team is planning to compete in the Eurocup competition next season. This is a serie of several pulling events all across Europe. To compete in this competition a team has to be registered somewhere in Europe. Where Popeye will be registered, or which class, next season is uncertain at this moment, because there are still some discussions about classes, which will compete in the NTTO circuit, next season. In a recent mail (end September), the competitors were asked in which classes they would compete next season, just to get an idea of how many competitors are interested in each class. Plans are to quit the 4,5 ton class and get a 2,5 ton class in the A division. Also a new 4 ton unlimited class is planned. This one would only compete at 3 events, as they are planning, to keep it exclusive. At this moment people are still working on the plans for the next season, therefor the above is all uncertain and it could well turn out different as described above. Because the plans and limitations in the Eurocup competition are certain at the moment, Popeye is planning to compete in this competition, which might be a better choice for Popeye. Meanwhile the team is working to get Popeye ready for the next season. New intakemanifolds, which can host 3 nopzzle's per cilinder are being welded. Also several changes to the top Allison engine are wished and planned. Check back this site for more info later on. Zitat der News vom 23.10 von der Popeye Teamseite. Scheint ja also noch alles nicht fest zu sein oder weiß Sascha da mehr ?! Muss echt blöd für die Teams sein, wenn Keiner weiß wie es wirklich weitergeht....ich denke die ETPC hat auch schon strukturierter gearbeitet, oder besser die NTTO? Meine info aus NL ist das im Euro Cup die 4,5 Fk gefahren wird. Wenn mehr als 5 Teams in der 4.0 Fk fahren wollen ,wird die 4.0 in der Meisterschaft gefahren. Ich denke das MPM,Lambada,Double Dee,Simply,Giant mit der 4.0 kein problem hätten. Zusätzlich wird überlegt die 2,5 Fk in der A division zu fahren. ... und was geht in die B.-Divisie? Die B-Divisie wird dadurch massivst abgewertet, hoffentlich geht das nicht durch! Haben die Niederländer den Keep Moving endlich ins Museum gestellt. Das der Rote dort bremst stimmt so nicht. Er soll dort bremsen, aber das ist alles noch nicht in trockenen Tüchern. Zeit deutsche Trecker Treck zu bremsen, wohl leider auch nicht bei uns.